KABUL: The government asks for a ban over Taliban leaders’ visits to abroad, calling it a terrorist group whose leaders were not allowed to travel to abroad. The reaction comes after a militant’s negotiator team flew to Russia from Qatar that is home to their political office to attend the Moscow meeting held this week in which Afghan politicians including former president Hamid Karzai met with them. The government did not send delegation to the meeting that it called would help nothing for the controversial peace process. Ministry of Foreign Affairs says Taliban should join the peace process so that their names be removed from the UN blacklist and they could travel to other countries. “They (Taliban) are under sanctions and are recognized as a terrorist group. They need to be out of sanctions if they want to travel abroad and that is possible just when they join the peace process and be sorry for what they did in the past,” Sebghat Ahmadi, spokesman for the foreign ministry said on Friday. But he denied any “complaints” to the UN Security Council over Taliban’s travel to Moscow, saying the Afghan diplomacy section just remembered the council’s committee of sanctions about the trip. Afghan political agency at the UN earlier confirmed the complaint. A team from Taliban political office led by Sher Mohammad Abbas Stanekzai attended the Moscow meeting on February 5 and 6 and met with politicians from Kabul. 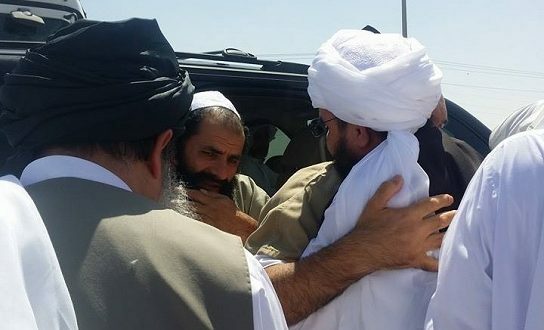 Stanekzai asked for the removal of Taliban leaders’ names from the UN blacklist during the meeting. The request was repeated in a statement later issued. The names of a number of Taliban officials are in the UN list of sanctions that bans them from overseas travel. This is not the first time Taliban travel abroad, a team from the insurgents’ political office attended a similar session in Moscow in November. Zabihullah Mujahid, spokesman of the militants said that their travel was already coordinated with the UN and the Russian government.